"I detest snobbery but maybe I'm a mental snob...I search avidly for anyone really intelligent. With intelligent people one forgets such shameful matters as the colour of one's skin and facial features which seem to matter so much in South Africa. Heavens! I will not ape anybody. I am an individual. No one shall make me ashamed of what I am!" After a year in Cape Town, Head moved to Johannesburg where she began writing for the hugely influential Drum magazine. This was one of the few magazines that wrote about the lives and stories of black people. Here she became one of Drum's most popular reporters. Whilst in Johannesburg, Head became politically active. 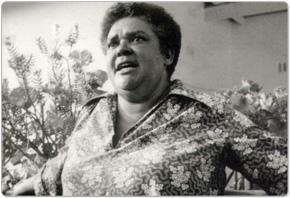 She met Robert Sobukwe, leader of the Pan African Congress (PAC), just before the Sharpeville massacre. In the political turmoil after the shootings, she was arrested on suspicion of being a PAC operative. The police tortured a confession out of her, despite the fact that she knew very little about the organisation. Her testimony did not result in any arrests but she was shattered and tried to commit suicide. After spending time in hospital, Bessie Head returned to Cape Town.